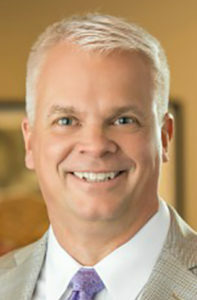 Hampton home explosion results in death | Siegel Brill, P.A. Fires and explosions are responsible for making headlines in the U.S. on a daily – if not hourly – basis. If you set a Google alert for “home explosion,” your inbox will be inundated with updates. From Patch.com, Feb. 5: Officials said one person was killed and another badly burned in a Hampton home explosion early Tuesday morning. Hampton is a city in Dakota County, Minnesota, with a population of about 700. At 6:14 a.m. local time, Dakota County deputies and first responders from Randolph, Hampton, and Northfield were dispatched to a home explosion on the 2400 block of Lewiston Boulevard, just south of Hampton. The Sheriff’s Office received reports that the Hampton home explosion could be heard more than 10 miles away in Hastings and Farmington. Upon arriving, deputies found a man wandering the scene with severe burns over much of his body. He said he was looking for his wife. Deputies and firefighters began providing care and searching for the spouse. The man later was brought to Regions Hospital Burn Center in St. Paul. At about 8:55 a.m., a body was recovered from within the blast debris, according to authorities. Investigators said they believe the man and his wife were the only occupants inside the home at the time of the Hampton home explosion. The identification of the victims will be released once confirmed and family members are notified. 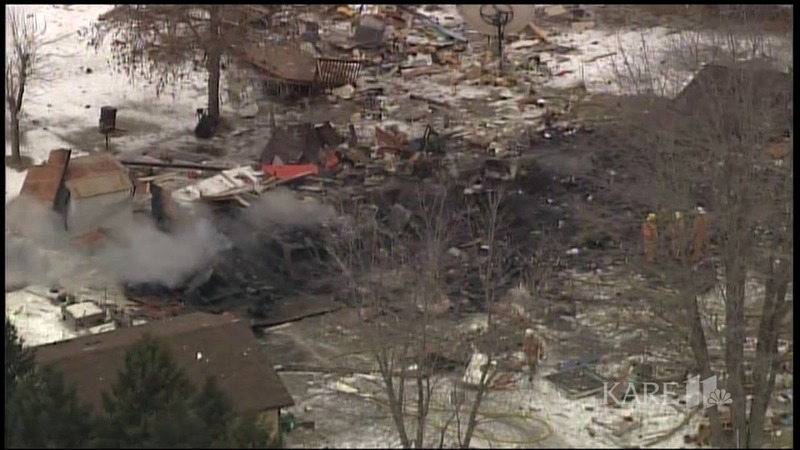 From WXYZ-TV, Feb. 3: One person was injured Saturday night in a Pontiac home explosion in suburban Detroit, Michigan. The home was located on Irwin Avenue, near South and Martin Luther King boulevards. 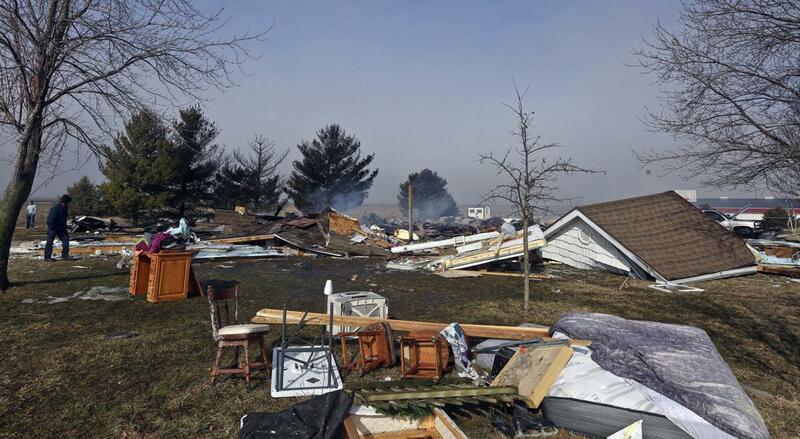 From Associated Press, Feb. 2: A 20-year-old Sullivan man died after an explosion leveled his family’s home in central Illinois. Officials said they suspect the cause may have been propane. Firefighters rescued a woman from the home shortly after they arrived. Soon thereafter, they recovered the body of Jared L. Schrock, who was pronounced dead at the scene. From Los Angeles Times, Feb. 1: California’s biggest natural-gas utility, Southern California Gas Co., was fined $3.3 million on Friday after state regulators accused the SoCalGas of putting its financial bottom line ahead of public safety by refusing to fully investigate a Jan. 20, 2017, home explosion in Ontario. One person was injured in the explosion.